View More In Moving Blankets - Page 2. When purchasing a moving blanket or pad, there are three factors you should consider: weight, binding, and woven vs. non-woven fabric. 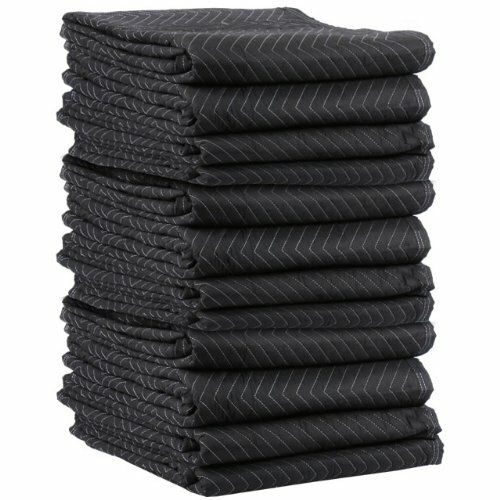 Our Performance Mover moving blankets are constructed of a mid-weight, cotton/polyester blend fabric. They are stitched in a zigzag locking pattern, with 3'' woven polyester binding and finished corners. With a weight of 6.25 lbs. each (75 lbs. per dozen), the Performance Mover is the best of our mid-range blankets due to its durable, woven binding.This blanket can be used over and over again and will never tear during transit! For an individual doing a home move, moving professionals, shipping companies, furniture movers, or any other long distance mover - protection of your delicate cargo during transport is crucial. The Performance Mover moving pad from US Cargo Control will prevent your delicate items from breaking, scuffing or scratching, no matter what the distance. *These blankets may have a slight odor which is more apparent when using them for sound dampening.